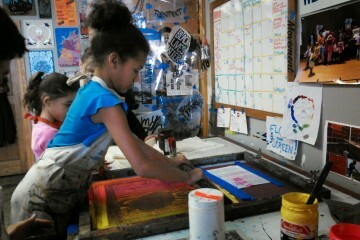 The Workers, Industrial Arts Co-op, 2011. Forget margaritas—okay, maybe until later—and instead, make this Friday’s happy hour all about outdoor recreation, public art and urban exploration. 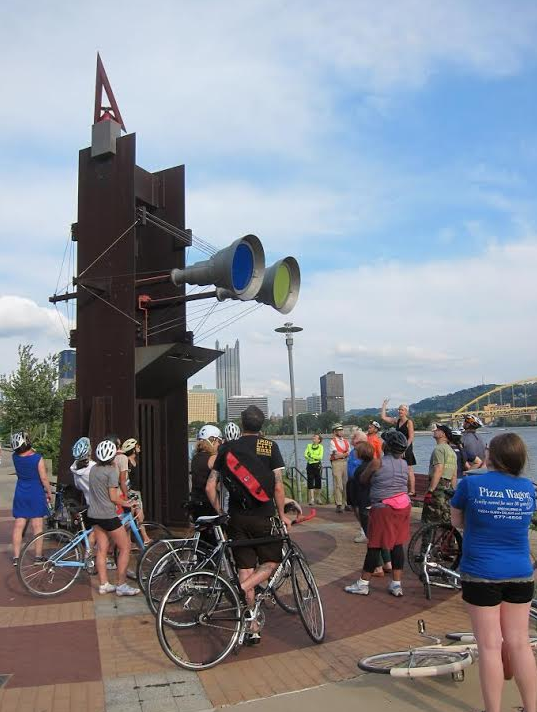 Celebrating the high caliber artworks that augment the shores of Pittsburgh’s scenic rivers—and embracing the spirit of seeing them on two wheels—The Office of Public Art’s Riverfront Bike Tour is the perfect way to wrap up your work week and jumpstart the weekend. Langley Observatory Clock, R.M. Fischer, 2007. Setting off on the North Shore—at Langley Observatory Clock located next to Carnegie Science Center—the two-hour Riverfront Bike Tour will wind through Downtown, and conclude on the South Side. 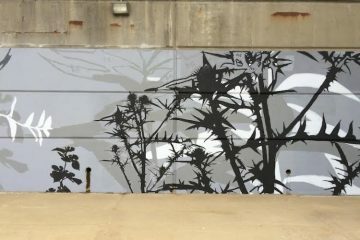 Along the 10-mile route, bikers will explore a range of public artworks representing various media, subject matter and sizes, including: R.M. Fischer’s Langley Observatory Clock, Larry Kirkland’s Southwestern Pennsylvania World War II Memorial, Kim Beck’s Adjutant, James O’Toole’s Steelworkers Monument, the Industrial Arts Co-op’s The Workers, and Cheonae Kim’s Cadaques. Staff from The Office of Public Art, including Renee Piechocki, Kate Hansen and Rachel Klipa, will provide background information about each of the artists and their works, which were constructed between 2001 and 2015. The rain-or-shine event will consist of a loop that mainly includes riverfront trails and bike lanes, along with minimal on-street riding as well as some riding on sidewalks and bike lanes that cross bridges. Participants are asked to please bring and wear a helmet during the tour and they must provide their own bike. Need a bike? Check out rental options with Healthy Ride and BikePGH. 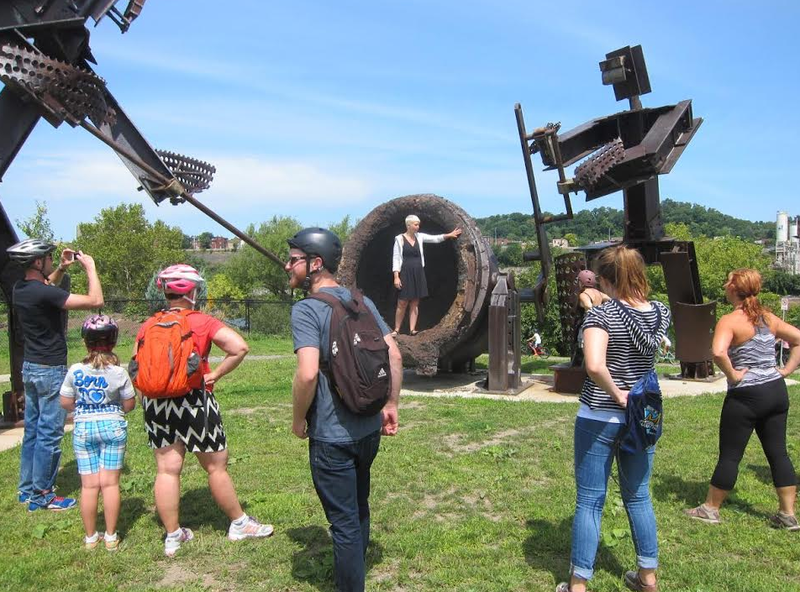 Go here to learn more about monthly walking tours, lectures and other educational programs offered by The Office of Public Art. Register for the Riverfront Bike Tour here.